International cargo movement involves many departments and inspection of the goods move from one port to the other and same for the Cargo to Pakistan. It is expected that the cargo inspection market will become worth three billion U.S. dollars. The factor behind this increase would be the result of more demand for quality assured goods and products. The importers are getting conscious of the quality and so does the user’s ad to meet such changing needs it is essential to make sure quality remain maintained until reaching to the end customers. It becomes even more important when the destination lies somewhere in the developed world as rules are stringent. Oil and gas products, in particular, need to be scrutinized as these directly relevant to environment and life on earth. But at the same time, these two are the major exponents of moving wheel of the economy of a country so their use is indispensable. There are companies to hold an inspection of these two commodities and thus the role of inspection companies become vital. The United Kingdom is a major market of aforesaid natural resources and from here all over the world supply of these are conducted that is why you can find many such companies in the UK and in the coming five years cargo traffic in the Asia Pacific going to increase in particular even beyond the forecast. Dedicated cargo ferry service is another area that is being encouraged by elements in UK government as it has been promoting seafood transportation. Though this service is proposed for the specific short destinations at present by the time it can be spread. One of UK Production Company has planned to start air cargo show on a TV channel. The elements involved in big logistics will be exposed for the public. 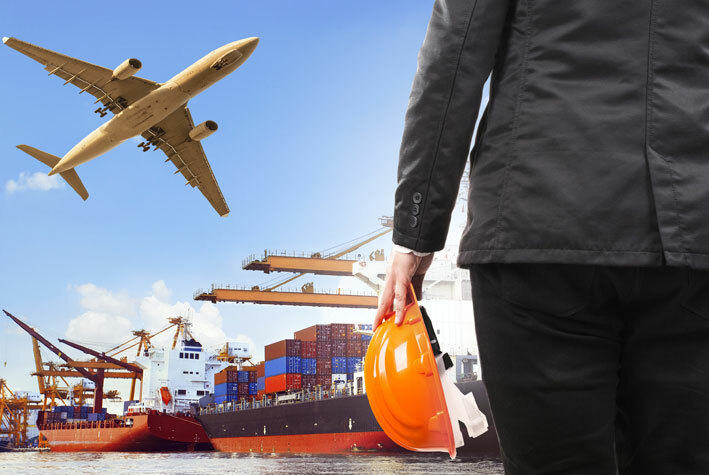 In this way, a layman will come to know all about the magnanimous efforts of freight forwarders and the untiring job of the staff working there. Different stories related to the industry will be shared and this would be an interesting way to let the people know about the reality of hardships of this least exposed industry but has a strong and vital impact on the economy of any country. It is also asked by the initiator to share the story if something unusual has happened. There is a new government in Pakistan and it is also keen to strengthen trade ties with Britain. So the process of increasing the volume of bilateral trade would be pursued with similar enthusiasm. In this way, the UK companies eyeing at this market of over 220 million people would continue exploring possibilities of exporting their goods to Pakistan. In fact, not only trade but all other aspects are needed to be progressed and under the new Pakistan government, it is expected to make interactions between the officials more meaningful and result oriented. After achieving peace and stability the South Asian region is all set to progress by leaps and bounds in coming years.